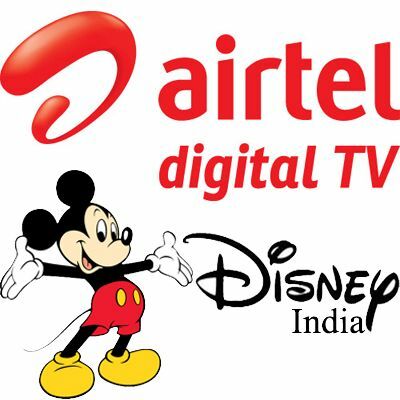 Airtel digital TV, the DTH service arm of global telecommunications company Bharti Airtel, announced the launch of English Subscription Video on Demand (SVOD) Service – “Disney Family Movies”. Launched with an aim to enable the entire family with a never before experience of a one stop shop for popular Disney blockbusters, the new SVOD service on channel number 201 will showcase celebrated Disney movies including Hollywood classics, popular animation movies and live action titles like The Lion King, Aladdin, Pirates of the Caribbean series, Tangled, Alice in Wonderland along with award winning Disney PIXAR animation titles like UP, Toy Story, Cars and more. Under its SVOD portfolio, Airtel Digital TV showcases Regional, Bollywood & now Hollywood movies, making it one of the largest curators of movies offerings to its customers. The ‘Disney Family Movies’ showcases English family entertainment movies back-to-back 24×7. To start with, the channel will showcase 20 new movies which will be replenished regularly. With the ongoing summer vacations, kids can enjoy a wide range of Disney’s celebrated classics, popular animation and live action titles at a subscription fee of only INR 60/- per month with only one ad break. Airtel digital TV customers across the country can subscribe to this service by sending an SMS to 54325 from their registered mobile number.